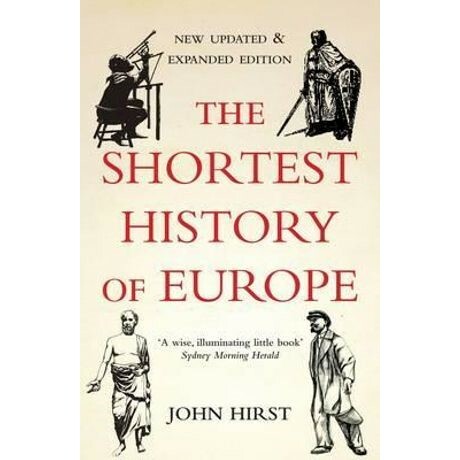 Celebrated historian John Hirst offers a fascinating exploration of the qualities that made Europe a world-changing civilisation. The Shortest History of Europe begins with a rapid overview of European civilisation, describing its birth from an unlikely mixture of classical learning, Christianity and German warrior culture. Over the centuries, this unstable blend produced highly distinctive characters - pious knights and belligerent popes, romantics spouting folklore and revolutionaries imitating Rome - and its coming apart provided the dynamic of European history in modern times. Accompanied by lively illustrations, The Shortest History of Europe is a clear, humorous and thought-provoking account of a remarkable civilisation. John Hirst is the author of numerous acclaimed books, including Freedom on the Fatal Shore and Sense & Nonsense in Australian History. The Shortest History of Europe has been translated into Chinese, Korean, German, Russian, Portuguese and Turkish.